Kenmerkend voor veel begaafden is een visueel-ruimtelijk sterk ontwikkeld vermogen met een hieruit voortvloeiende voorkeur voor visueel leren. Dit gaat gepaard met creatief, nieuwsgierig, out-of-the box denken en een sterke gevoeligheid. Het is belangrijk deze kinderen in dit hele spectrum te zien en te erkennen. In het boek Upside-down brilliance van Linda Silverman wordt hier uitgebreid bij stil gestaan. De belangrijkste inzichten en de betekenis hiervan voor het begrijpen en begeleiden van deze kinderen worden tijdens deze workshop gedeeld. Do you think in words? In pictures? In intuitive knowings? We teach in words. But what about those who think in pictures or who sense things without being able to tell you how they know what they know? High achievers excel in reading, writing, spelling, calculation, memorization and timed tests. Visual-spatial learners learn in intuitive leaps. They see the answer all at once. Using imagination and visualization, they often excel in the arts and sciences. They may be highly empathic. Their visual-spatial gifts are prized in today’s workforce and need to be nurtured. The higher a child’s IQ, the more likely that child is to be a visual-spatial learner. 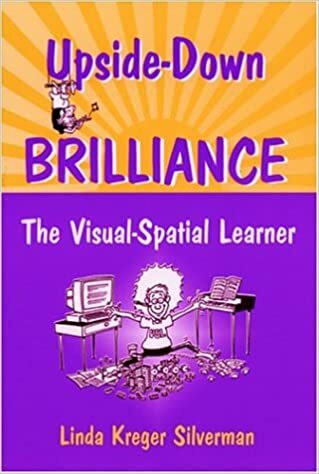 Visual-spatial learners have highly active right hemispheres, enabling them to see the big picture. As they see answers all at once in great, “A-Ha!” moments, they find step-by-step learning tedious. They need time to visualize how all the parts are related to a whole; they need to be allowed to reach conclusions in their own way; they need more time to translate their mental images into words and numbers; they need more visuals and fewer words; they need access to computers; their work needs to be evaluated separately for ideas and mechanics (e.g., spelling, handwriting, grammar, punctuation, capitalization, sentence structure, paragraphing); and they need other opportunities to demonstrate mastery besides writing assignments (e.g., PowerPoint presentations, photographic essays, dioramas, etc.). This session will focus on strategies for reaching visual-spatial learners. Functie: Opleider/trainer, Specialist begaafdheid, Coach Hoogbegaafde, hoogsensitieve en visueel ingestelde kinderen en jongeren. Studievaardigheidstrainingen.